Whoops. Almost missed today. Went to check Don’s family home in Chicago and the heat had gone out. Of course, the heating guy didn’t arrive until after 2 and had to replace the motherboard. We just got back a bit ago to find our heat in our home not working either. I really didn’t want another Christmas without heat again. Last year we spent 10 days without the heating unit working and the part didn’t come until after New years Day. We had to go out and buy 4 heaters. Fortunately, Don got it working for us tonight. I guess after Christmas we will have to making a call to our heater guys. Yikes, what’s going on!?! Anyway, onward. It’s Day 4, Possibly, may be needing this myself. 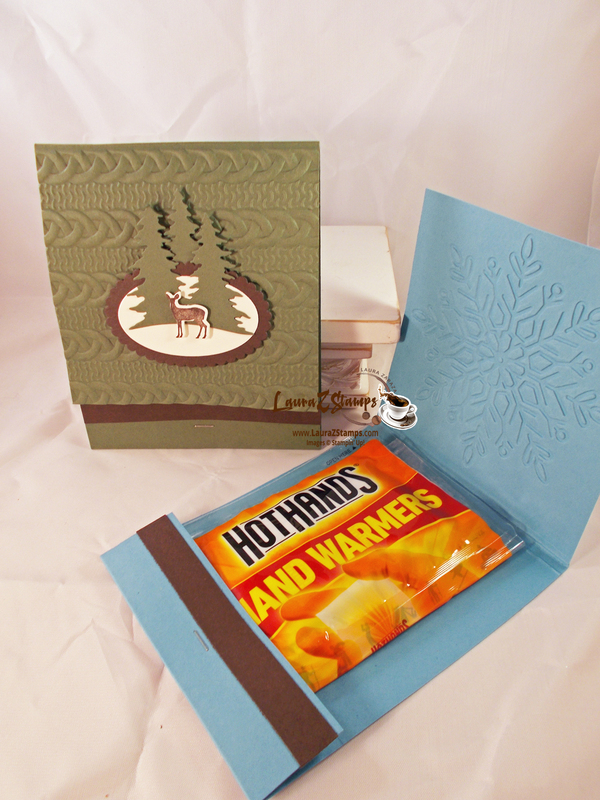 It’s Hand Warmer Gifts. I made two types. One more sporty and the other for teens and kids. I’ve been calling them, Hot Hands like the brand. Here I used a piece of Marina Mist C.S., cut in half. You can get two out of one sheet. 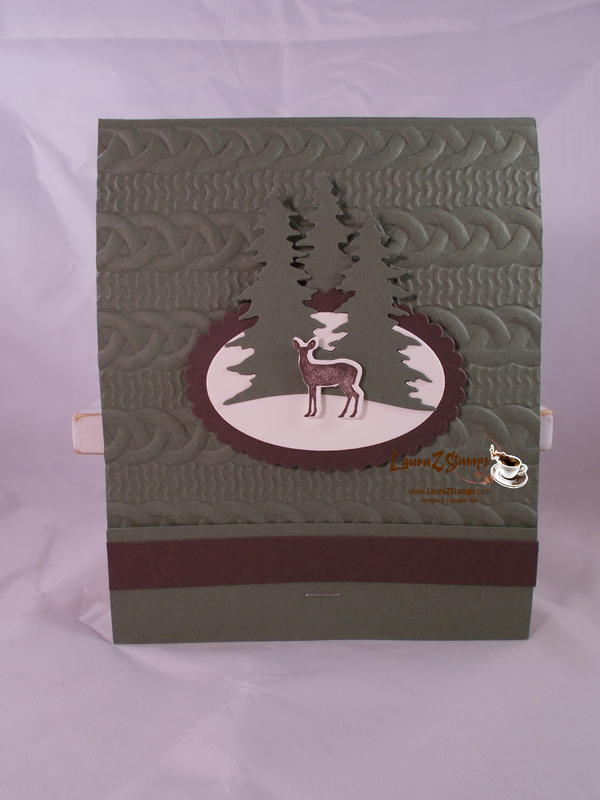 The piece is 4-1/4″ x 11″. Score at 1-1/4″, 6-1/2″ and 6-3/4″. The next part is easy enough. 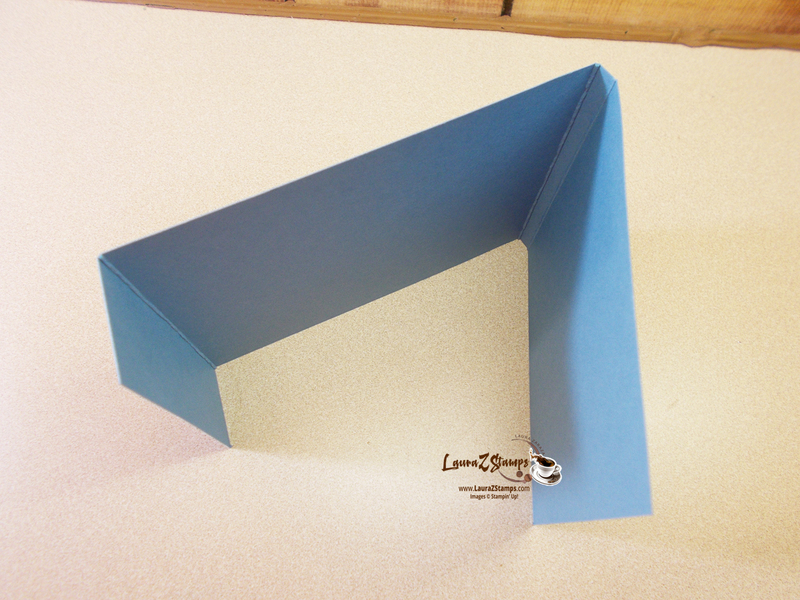 Fold over the 1-1/4″ and staple. 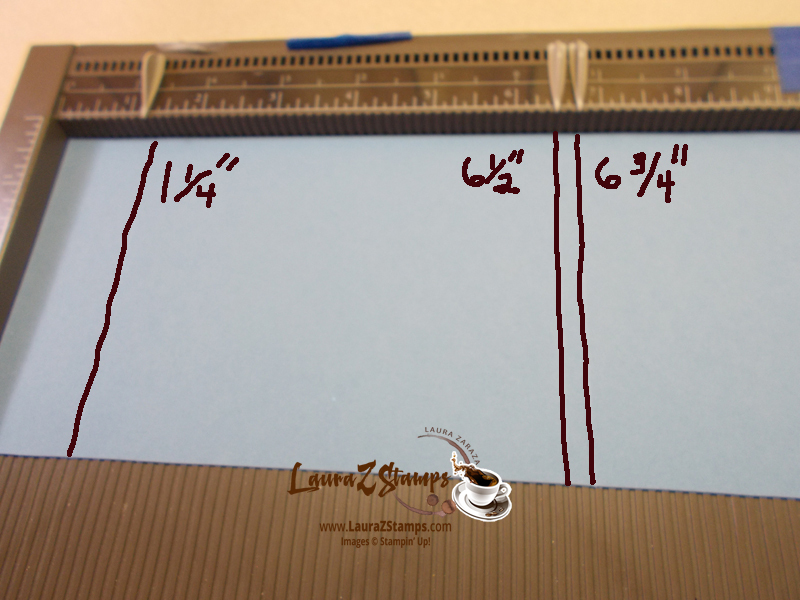 Place a 3/4″ x 4-1/4″ strip of Early Espresso C.S across the outside with a bit of adhesive of your choice. This makes it look like a giant matchbook. Classy! Decorate your cover. 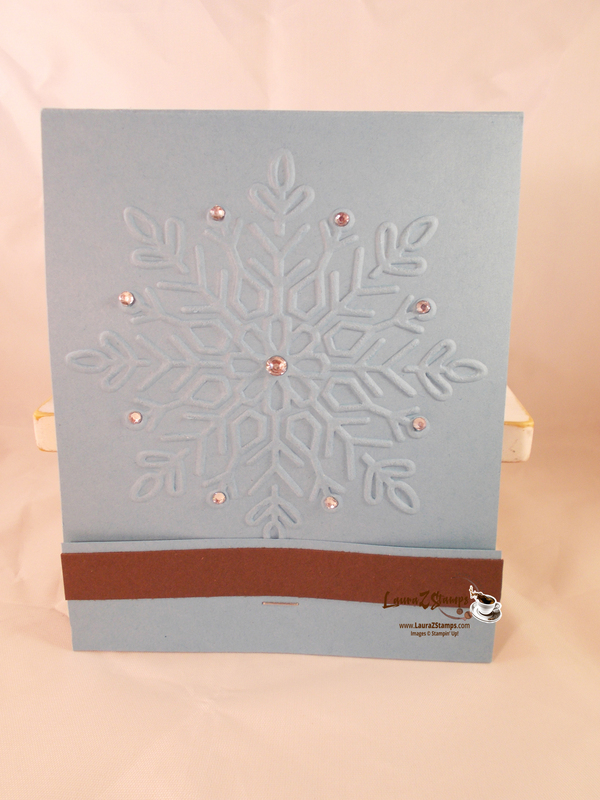 I ran the Marina Mist through the Winter Wonder (Snowflake) Textured Embossing Folder. Then I added Rhinestones. Again, Classy! Add a bit of tape to the inside and place a pair of Hot Hands packet inside. That’s it. Now go make a bunch. 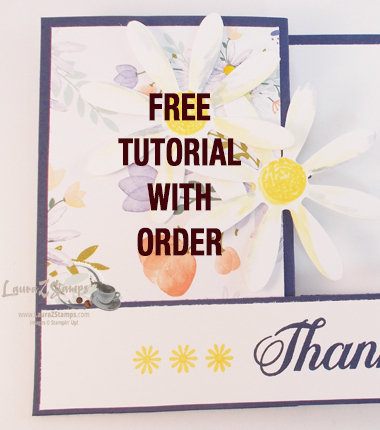 I will also tell you you could add a bit of cash or gift card in there as well. Gift Idea: The Simply Score tool. 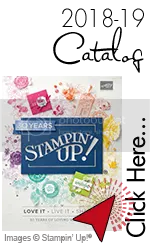 I have used this for lots of scored items. Your favorite Crafter would love one, I am sure.